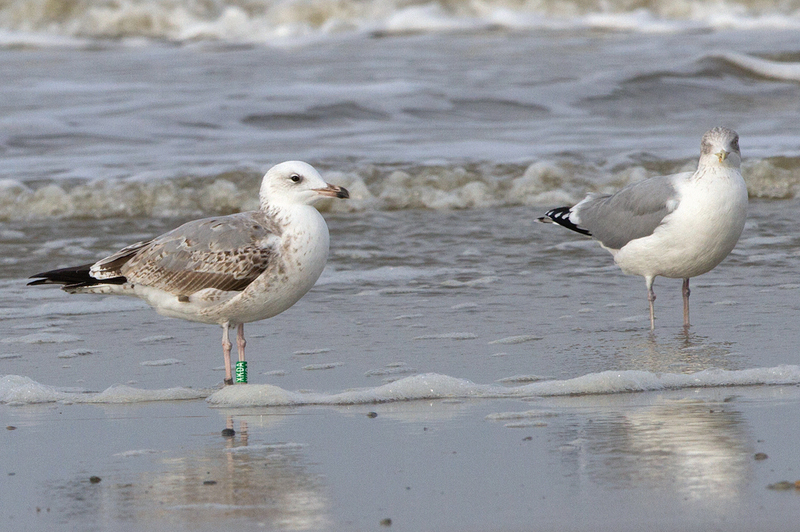 Larus cachinnans 1CY-2CY XKDA December 20 2013, Scheveningen & November 18 2014, Terschelling, the Netherlands. Green XKDA and metal DEH EA-183789, ringed as pullus on June 07 2013 at Gräbendorfer See, Brandenburg, Germany (51°42'00"N 014°06'00"E). 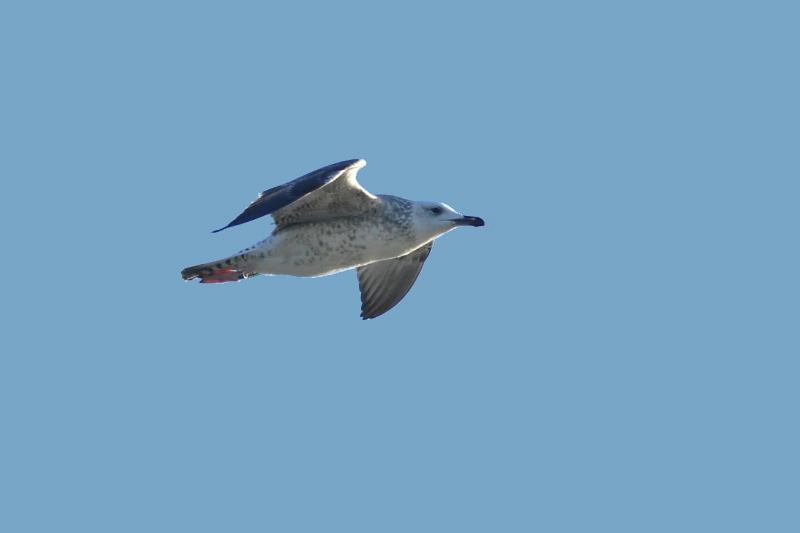 below: Larus cachinnans 2CY XKDA November 18 2014, Terschelling, the Netherlands. Picture: Jacob Jan de Vries. 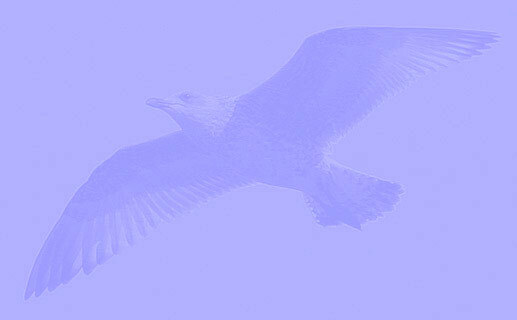 This is a bird from a mixed colony with breeding cachinnans, argentatus and michahellis. This bird, green XKDA in line with pure cachinnans: white head, covert pattern after partial autumn moult, bill. Also note mirror on 2nd gen P10, commonly found in cachinnans. 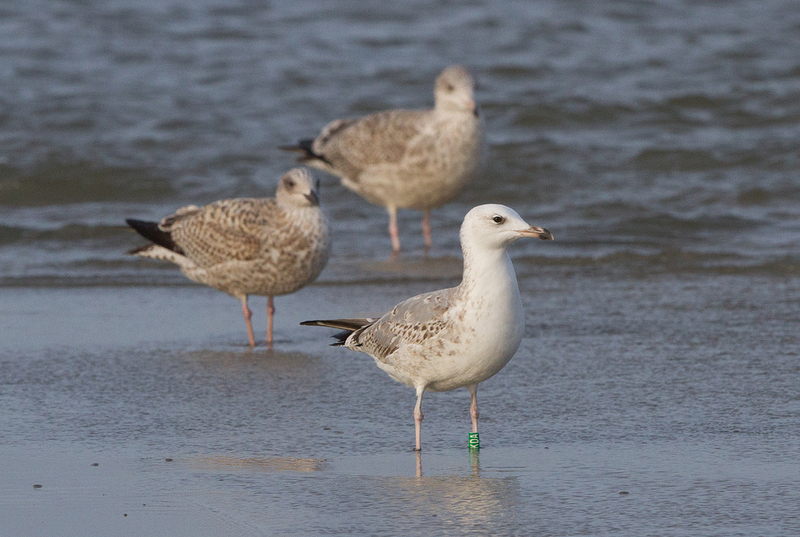 below: Larus cachinnans 1CY XKDA December 20 2013, Scheveningen, the Netherlands. Picture: Vincent van der Spek. 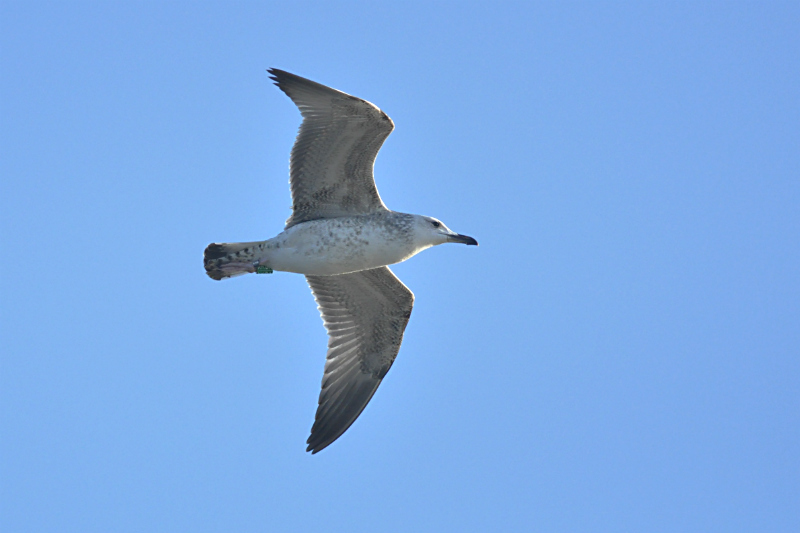 Bird ringed green XKDA, probably ringed as pullus in 2013 in Sachsen, Germany. Note pale underparts and head, but note also rather clean bases of rectrices.